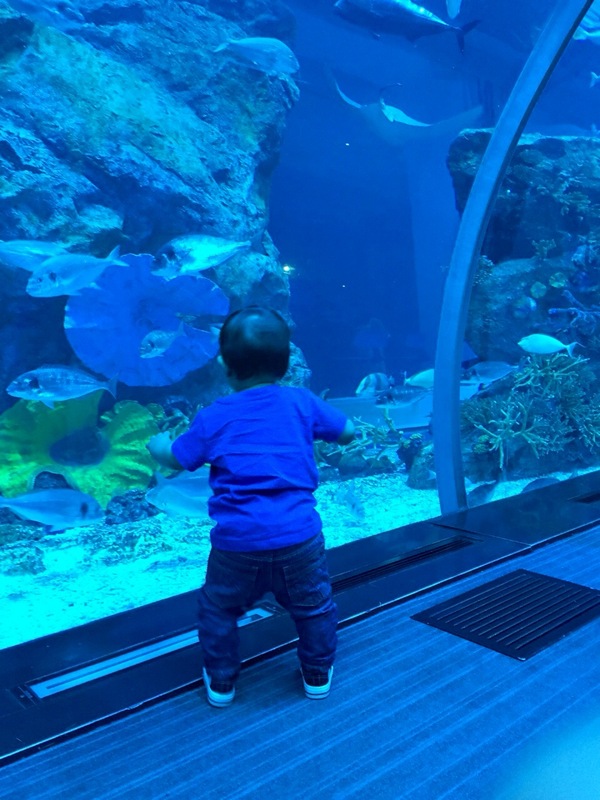 As part of Baby Z’s birthday celebrations, the husband and I decided to take our sea life fanatic to the best aquarium in town: Dubai Aquarium, located inside Dubai Mall. 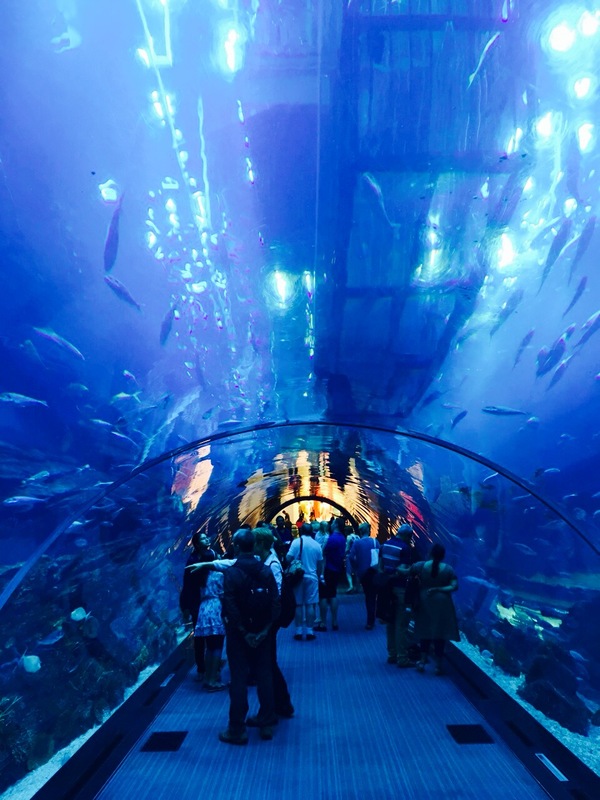 We have been visiting Dubai Mall for years, and we have seen the humongous aquarium from the outside, but never thought to visit the aquarium tunnel or even the Underwater Zoo on Level 2. 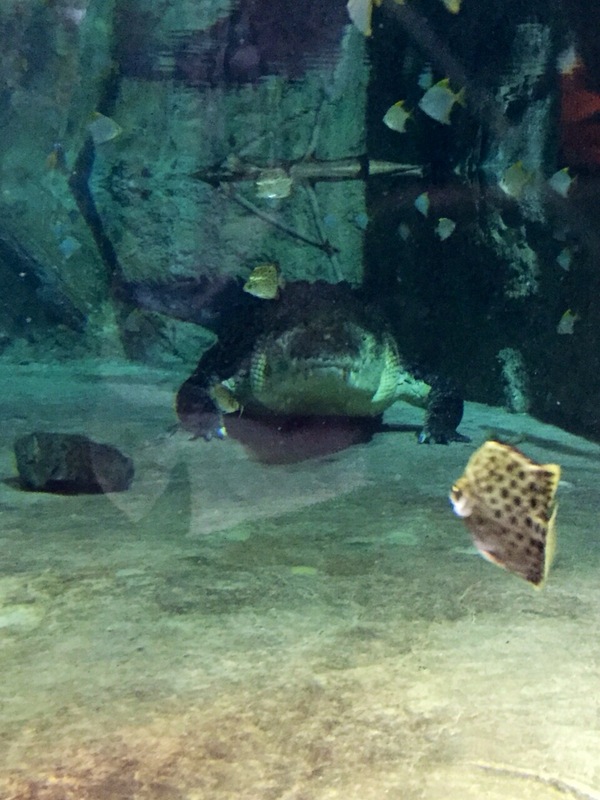 Celebrating our baby’s first birthday and the arrival of King Croc were a good excuse as any to finally delve into the sea life! After grabbing our tickets, we made our way into the tunnel and pretty much let Baby Z loose to discover the sea life on his own. Now that he is walking, he much prefers that to being held or sat in the pram. Baby Z’s beaming face said it all, and that wide smile was our value for money right there! The tunnel isn’t too long, but the views are amazing. You are greeted with sleeping sharks against a dark area of the glass (I brisk walked past this, it was too scary for me!) , and as you move forward, you are left gaping at all sorts of colourful creatures swimming past. It is truly a wonder as to how all these fishes, big and small, are not simply devouring each other for lunch. The people in charge must have surely done some great research, and are doing such a great job of taking care of every single living creature in that tank. We took plenty of photos and it was such a pleasure to see Baby Z so excited and amazed by all the sea life around him! We also saw so many other parents along with their just-about walking toddlers, and they were all very clearly enjoying the experience too! We visited the tunnel in the morning, when it was reasonably quiet which was an added bonus, allowing us to explore the tunnel at our leisure and in more open space. 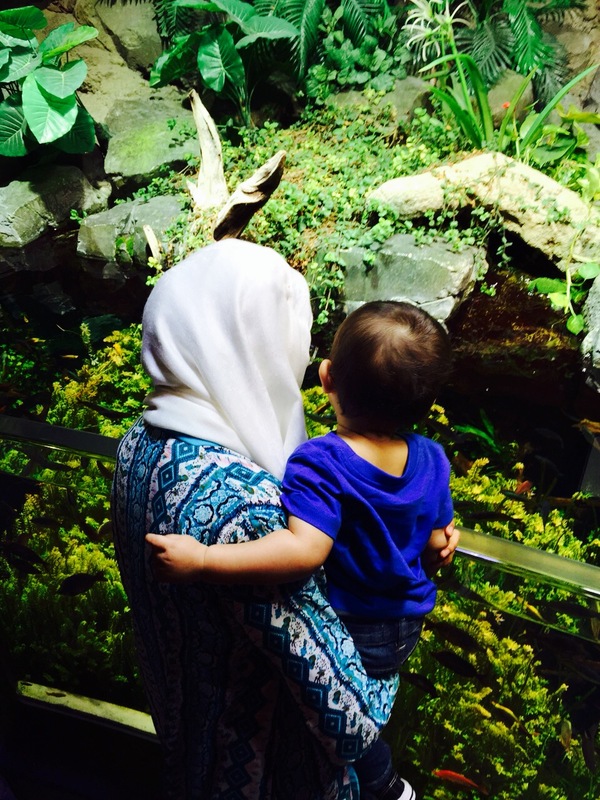 Once we had our fill of the aquarium, we made our way up two escalators and into the Underwater Zoo. There was so much interesting sea life to see, and I found myself going “Oh look at this!” every few seconds, jumping from one exhibit to the next. I was perhaps getting more carried away than my one year old! 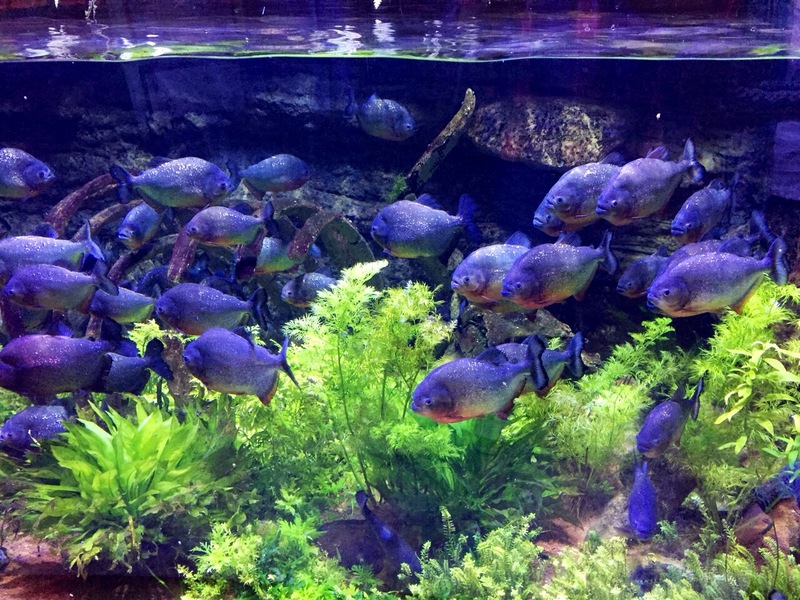 The piranhas were eerily still in the water, whilst the turtles danced and did somersaults in the water. 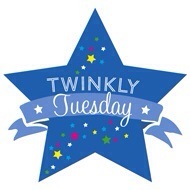 The jelly fishes moved in beautiful ways to a steady beat and the penguins scratched each other and swam playfully. 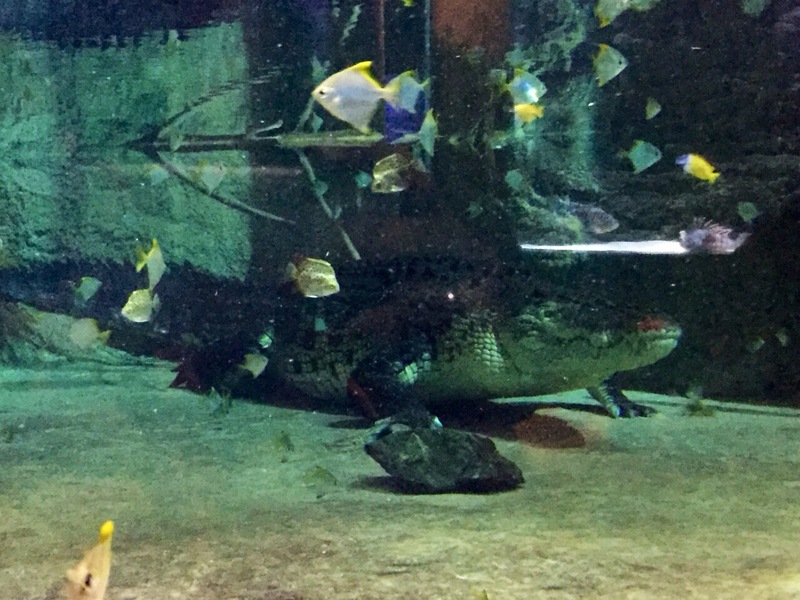 However, none of this compared to the deadly stare of the KING CROC, looking at us from the other side of the glass. Baby Z didnt quite understand the significance of this mighty animal, but the husband and I were awestruck. It was more scary than the sleeping sharks in the tunnel yet heaps more fascinating than the dancing sea horses. It was simply incredible to be so close to such a beast! 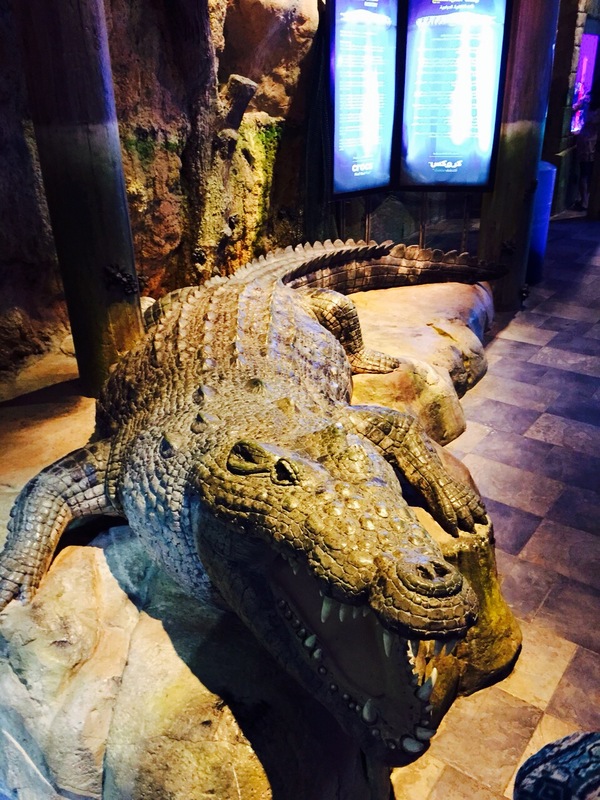 Again, we took plenty of photos, especially on the artificial replica of the crocodile outside the tank. The husband was transfixed and really enjoyed watching the documentary of how the crocodile was captured and brought to Dubai. He commented on how he wished Steve Irwin was present to have witnessed and been part of all this, and I couldn’t agree with him more. 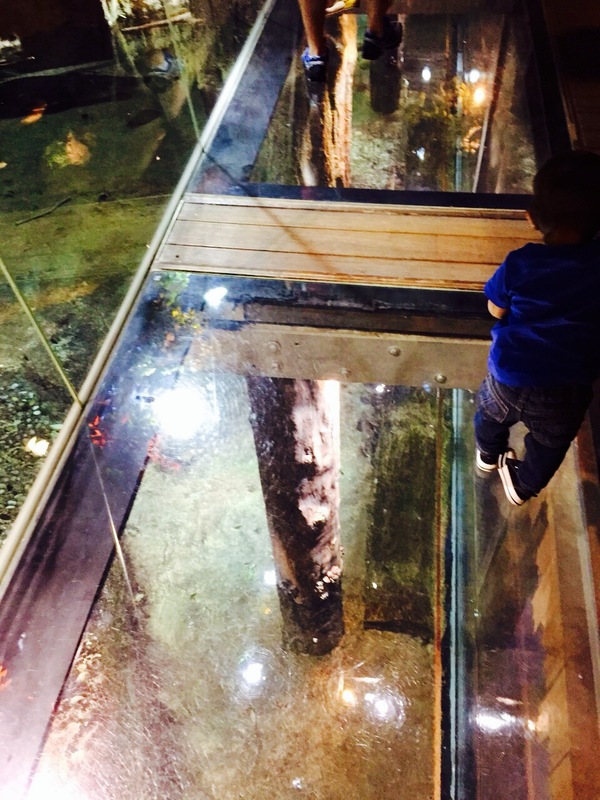 To our amazement, there were even more exhibits upstairs, where the glass deck above the crocodile tank was by far the best experience of it all! There was also a UAE Night Creatures exhibit that housed snakes and scorpions. 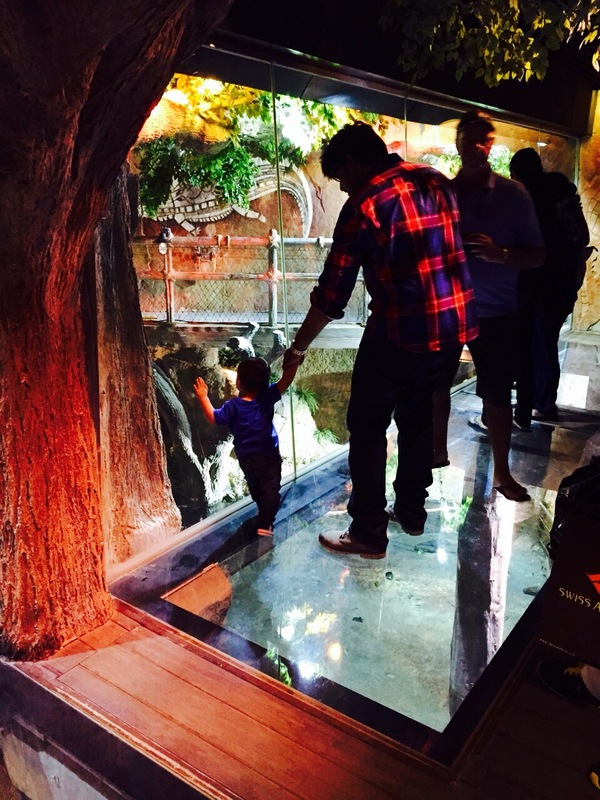 There were also rickety bridges above the aquarium tanks that simply added to the amazing underwater zoo experience. I was genuinely amazed at the value for money given! The only downside to this trip I would mention is the extortionate pricing of the professional photograph service at the aquarium tunnel and also the prices of collectibles and gift items at the end of the Underwater Zoo. I understand that the quality by which they maintain these attractions need to be paid for, but I couldn’t possibly justify spending that kind of money. Overall, the entire experience was full of positives and remarkable memories! 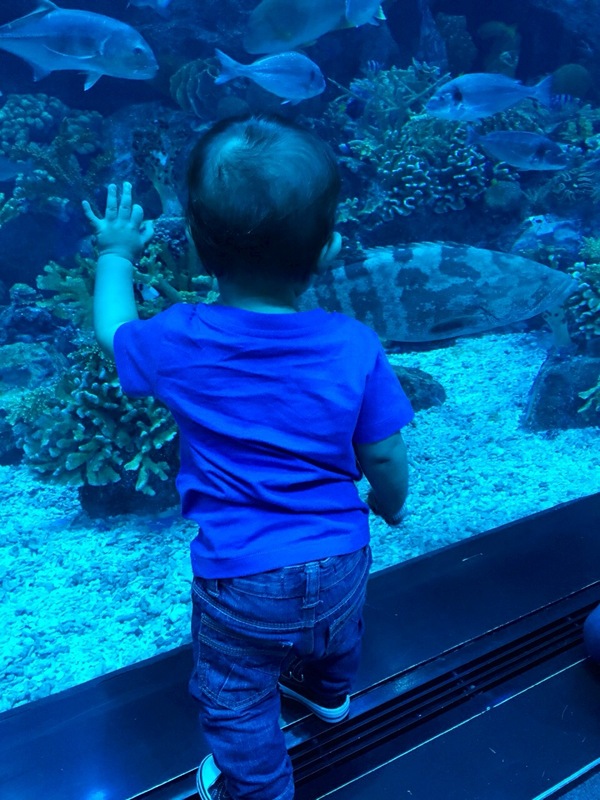 I would not hesitate to go for the Researchers or Explorers Package once Baby Z is older, to experience additional activities such as shark feeding and Behind the Scenes tour. 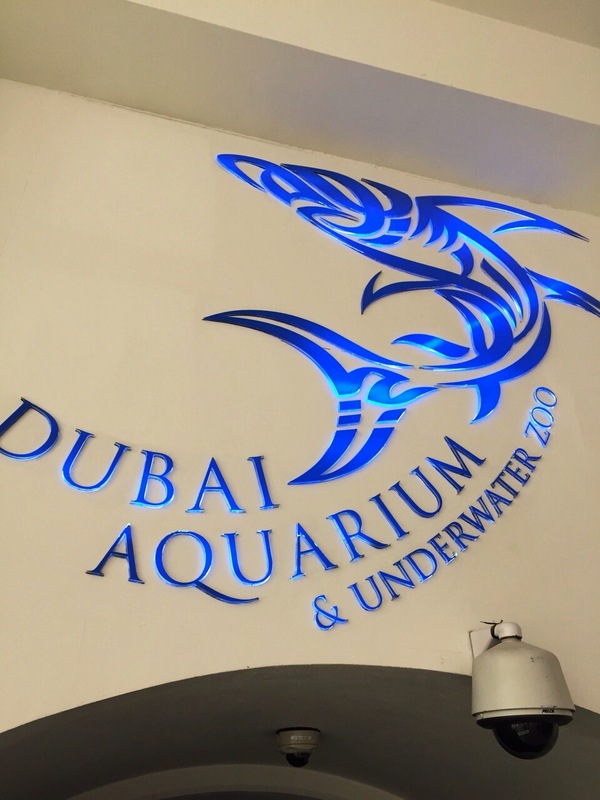 I applaud the workers at Dubai Aquarium and the Underwater Zoo for maintaining the high standards and for gifting us such an incredible experience, that would be possible only in Dubai! 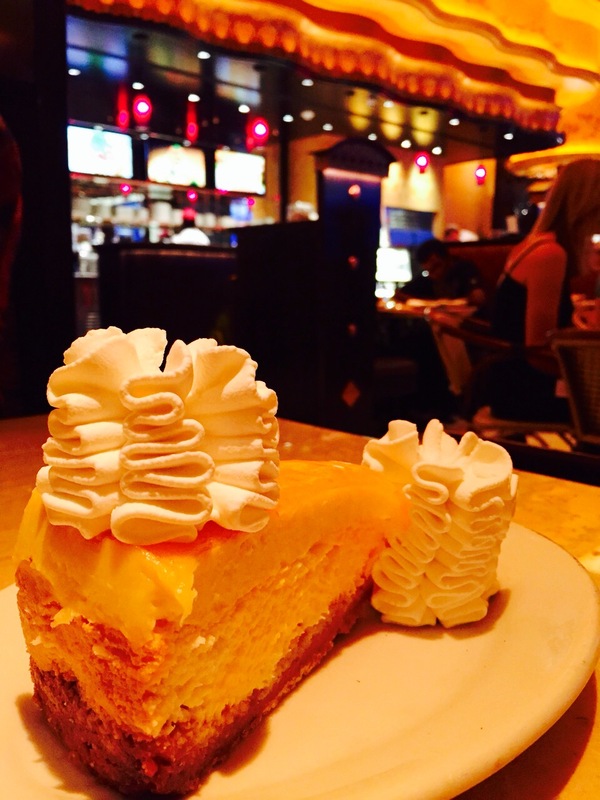 We ended our trip with a well deserved lunch at Cheese Cake Factory, finishing off with a scrumptious Mango Key Lime Cheesecake that was heavenly, to say the least! Hats off to you Dubai, for amazing me every single time! Note: I was not paid or asked to review any places mentioned in this blog. All opinions on this blog post are my own. All photographs used in this blog post are also my own. 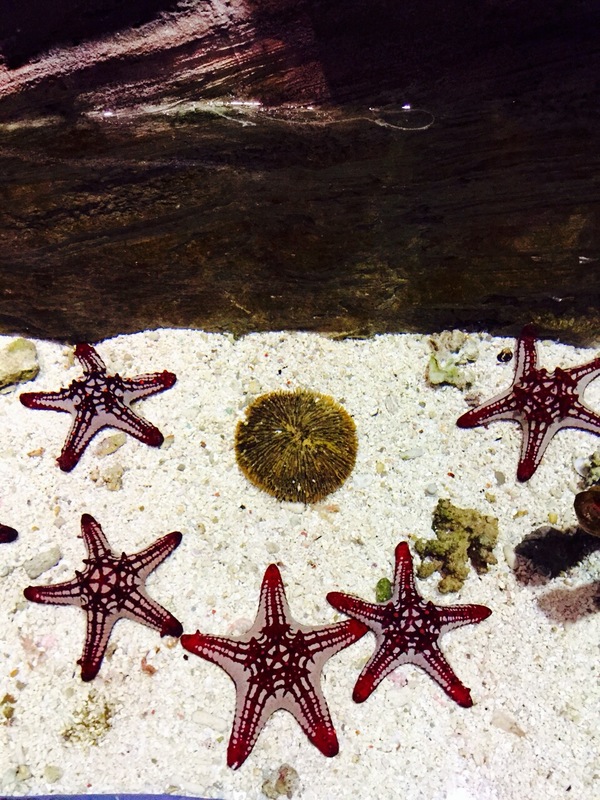 Have you visited the Dubai Aquarium and Underwater Zoo yet? What were your thoughts? Please feel free to share them in the comments section below! Thank you so much! The place really is super amazing! Although I do remember visiting the Birmingham Sea Life Centre and enjoying that very much too! Perhaps you could visit there before you come to Dubai! ? Thanks for reading! ? It really was a great family day trip indeed! Oh no!! Im so sorry, I suppose I should have put in a warning that a croc photo is to follow! Best stay away from the Underwater Zoo! 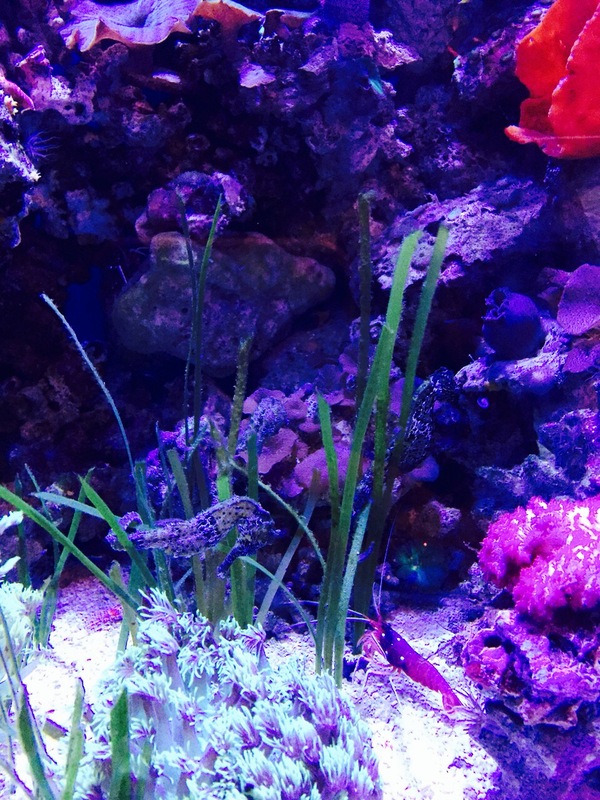 Yeah its quite a recent addition… You should definitely visit again! You’re right, its quite the place for some hands on learning! And a truly beautiful place too! Thanks for reading! 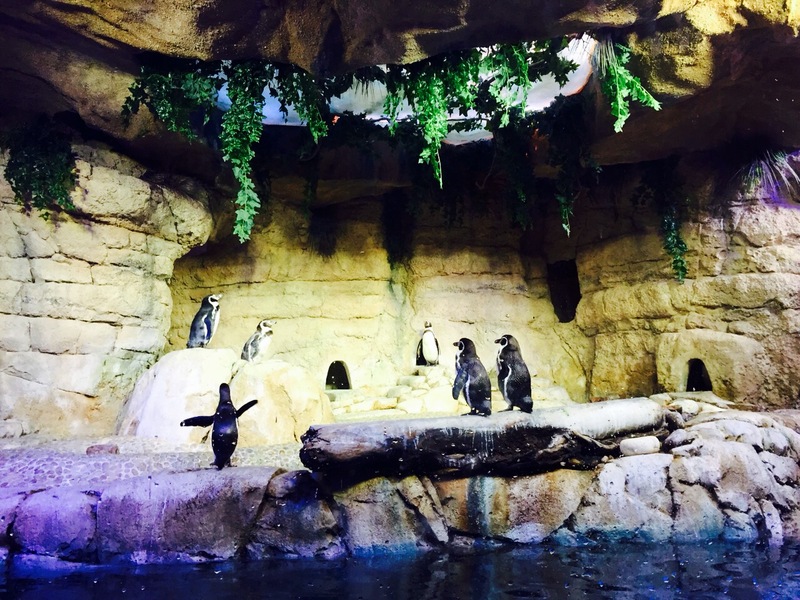 wow what an amazing aquarium – great photos! It was truly amazing! Thank you for reading! ? Always a pleasure to link up! Things like this are why I LOVE expat life, I mean you’ve got this truly incredible place on your doorstep….people travel to the country specifically for experiences like this! Thank you! That’s so true… We really are blessed to have such great places at our doorstep! Thank you so much for the lovely comment! I would DEFINITELY recommed it! I felt it was my money well spent, and the little ones will really enjoy it… Especialy the tunnel! This looks like an amazing place to visit! 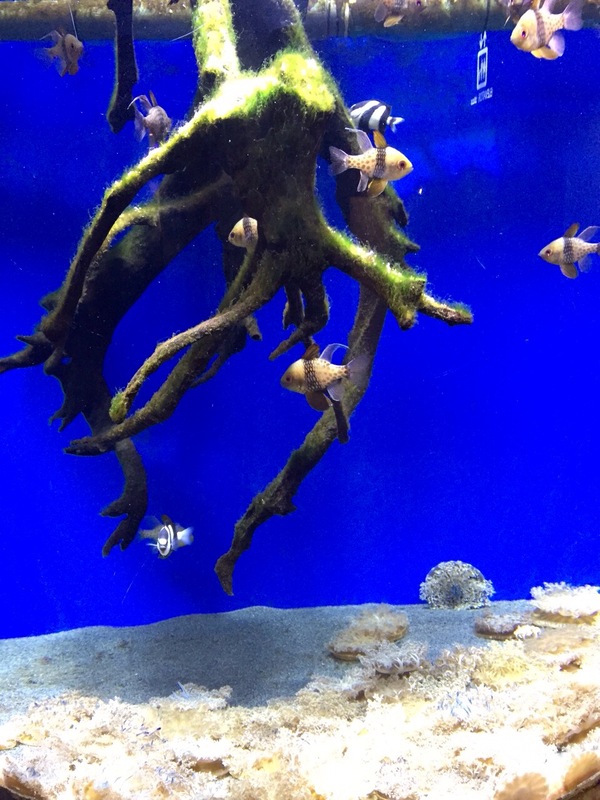 There is a huge aquarium in Osaka too, and it was on of my favourite places to visit when I lived there. And that’s without a toddler to take as an “excuse” to go! It really was such an amazing place! Haha I don’t think I would need to use Baby Z as an excuse for another visit too! ah! this place looks amazing!